Last weekend I caught a unique exhibit in Central World mall Bangkok. 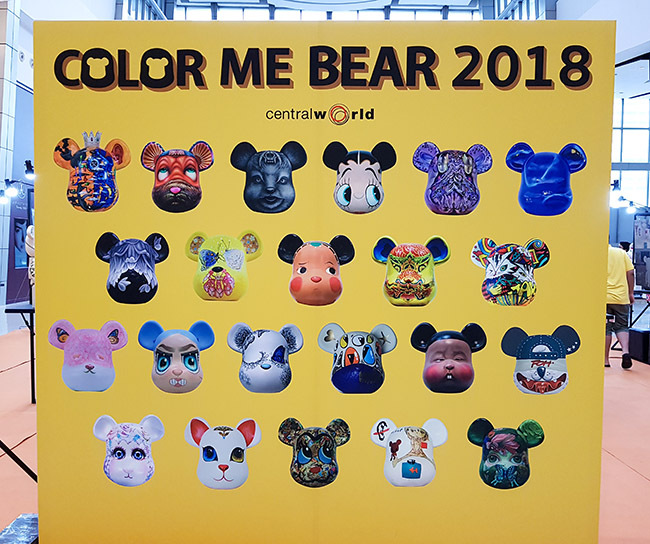 "Color Me Bear" is a group show featuring some of Thailand's greatest artists along with young up-&-comers all presenting paintings with accompanying custom versions of Medicom Toys' signature Be@rBrick figures. The event was expertly organized by Vinylnation Store, with a wide diversity of artists, thoughtful promotion, presentation & display which isn't easy in the middle of a shopping mall.